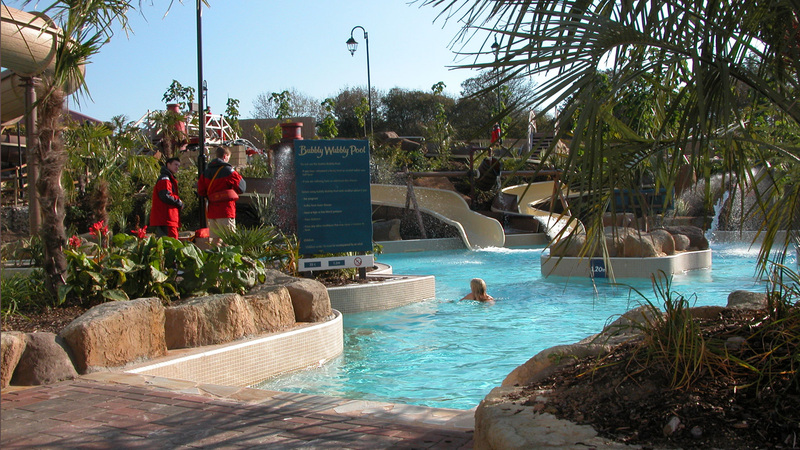 Splash Landings was the first Waterhotel in Europe. 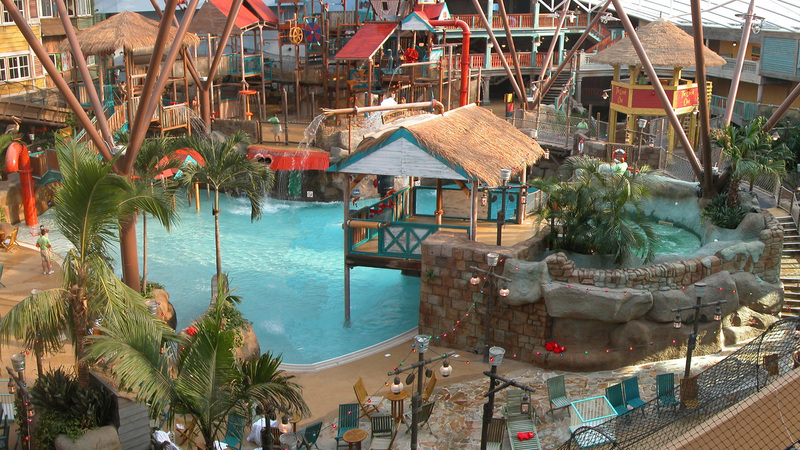 Entering two floors above the pool level you look down from the bars and restaurant into a vibrant pool area with a tipping bucket that releases 500 gallons of water at regular intervals, a Masterblaster running right around and outside the pool hall, a rapids river and flumes. The £43m project won the Property Week “Hotel of the Year” award and the European Federation of Interior Landscape award. 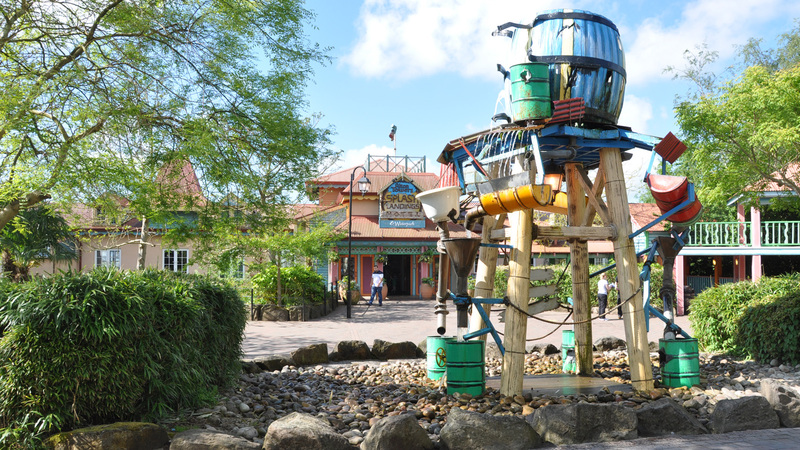 A wacky fountain welcomes guests at the entrance and the pool is designed particularly to appeal to the young. 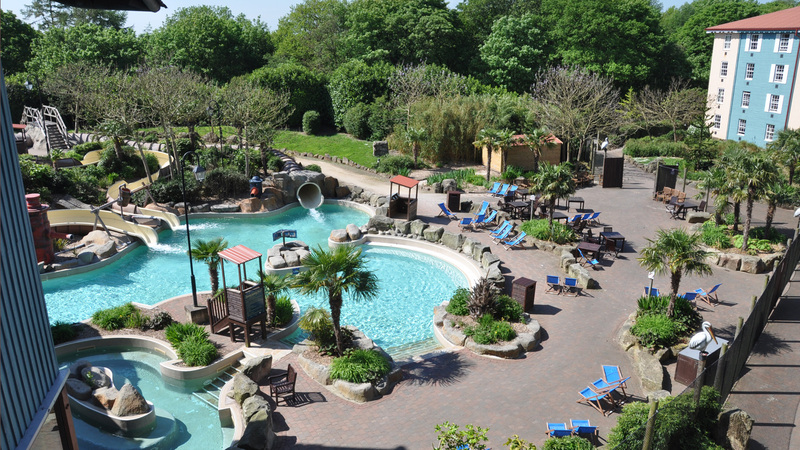 The tropical theme is continued outside with all year pools surrounded by exotic vegetation that is hardy in the British climate. As well as all the activity, there are places for parents to chill out and a kiosk for snacks. The lifeguards have a central observation position above the rapids river. 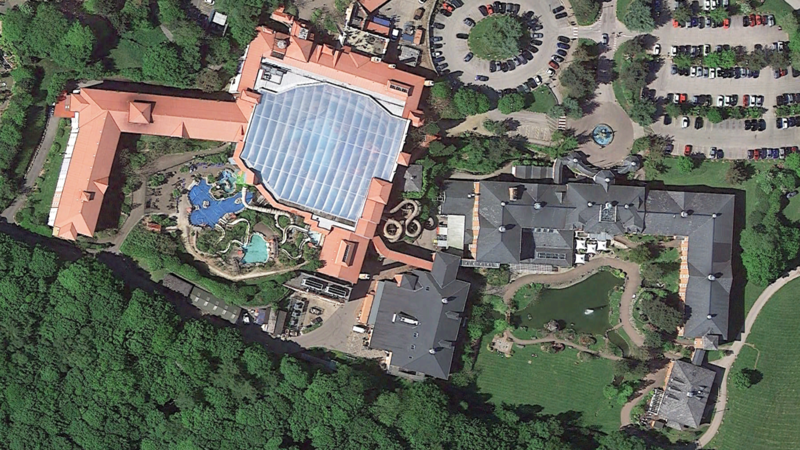 Splash Landings Hotel is linked to the Alton Towers Hotel by a walkway running through the Waterpark.